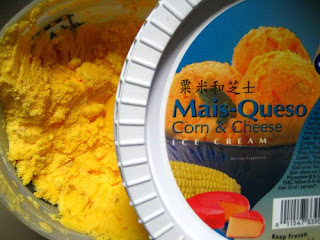 Japanese corn and cheese ice cream – what more can I say…people like corn, people like cheese so lets make a Japanese ice cream with these two favourites… umm, no thanks, I’ll skip it. This is another of my useful , interesting blogs I write at the moment, my main one is GoldCoaster . Keep checking back here for more Japanese Ice Cream.